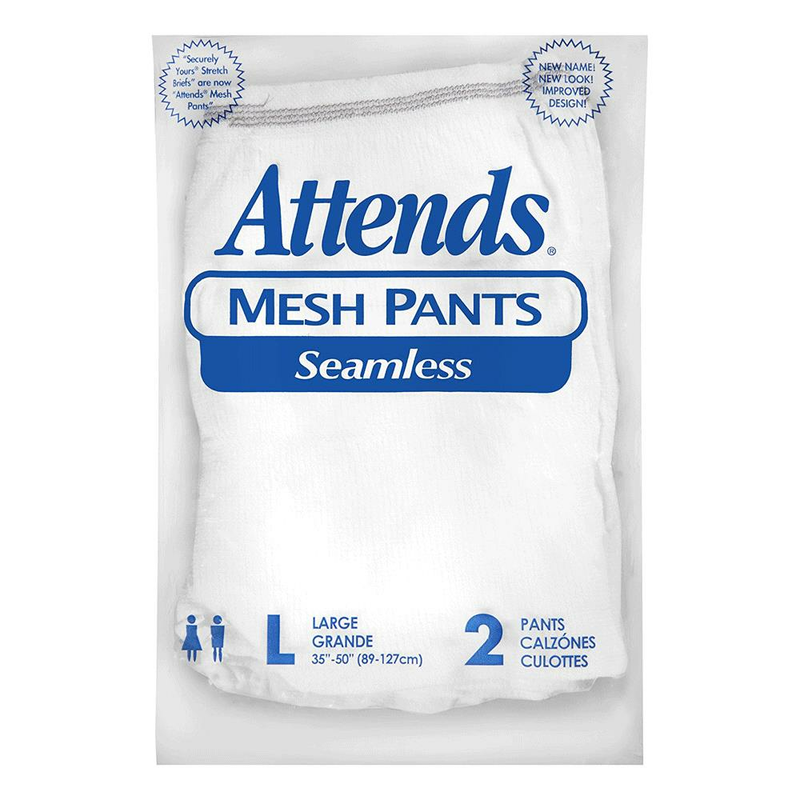 Attends Securely Yours Stretch Mesh Pants are part of a two-piece system to hold absorbent pads firmly in place. They provide a close, comfortable fit with more breathability than regular underwear. They are reusable, washable pants for use with all disposable pads.